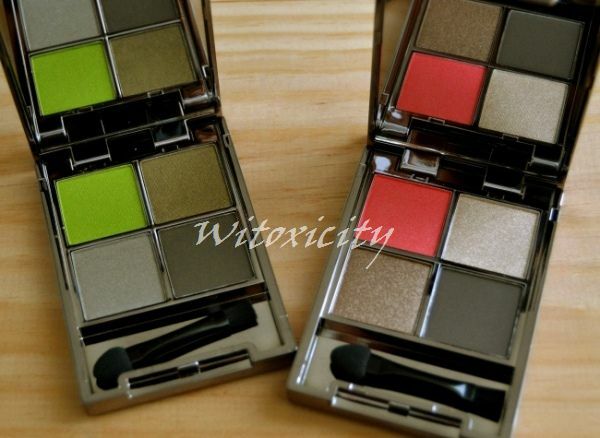 These are the Catrice Revoltaire Smokey Eyes Palettes that I mentioned in the Revoltaire Velvet Matt Lip Colour post. Basically, each palette has one eye-popping colour, two 'supporting' neutral colours and, in the bottom right quarter, one dark-coloured eyeliner that is water-activated. Ah, what can I say about the palette casings? 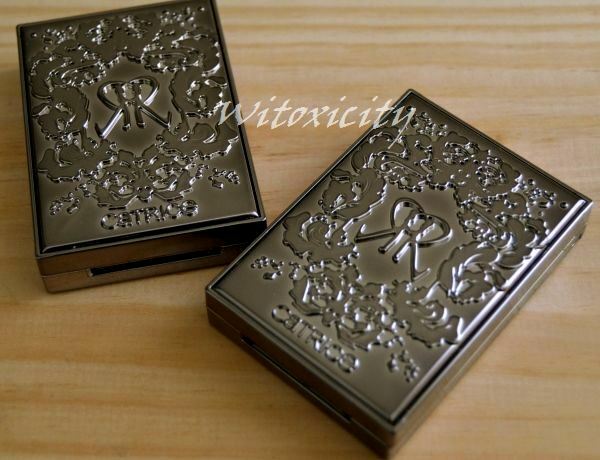 Sleek, stylish, glossy, gunmetal, they are perhaps the coolest-looking palettes to have come from Catrice so far. Each has a no-nonsense mirror inside and the palette can be opened to a 180-degree angle. By the way, doesn't the emblem remind of you of Rococo and/or Rorschach's inkblot test? 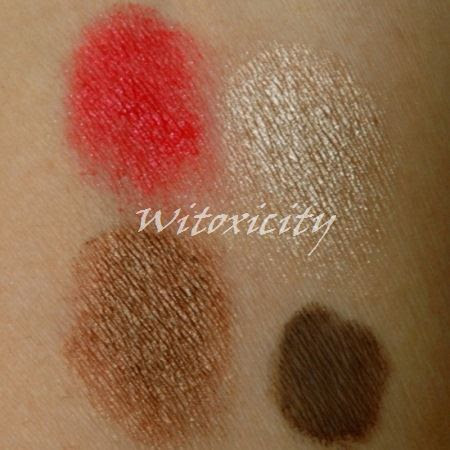 As you will see in a moment, the eyeshadows don't disappoint, as far as pigmentation is concerned. They all have varying degrees of shimmer. 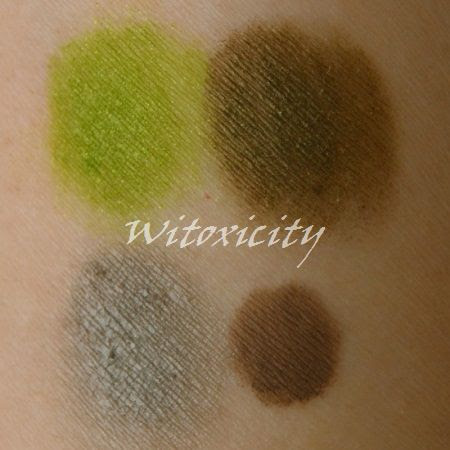 I'm not too crazy about the cake eyeliner in the green palette as I find the shade a bit light for an eyeliner. The one in the pink palette is appropriately darker. Let's now take a closer look at each of the palettes. 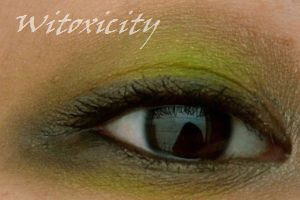 You can't miss that bright, toxic, acid green eyeshadow. The green is, to say the least, very 'out there', so unless you're going to be rockin' at some summer pop festival or if you're (fortunate enough to be still) a teen, I'd suggest going easy on it. Its more down-to-earth companions are a khaki green and an ashy taupe-grey. 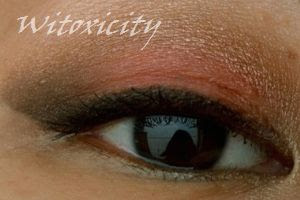 The cake eyeliner is a medium brown-grey. 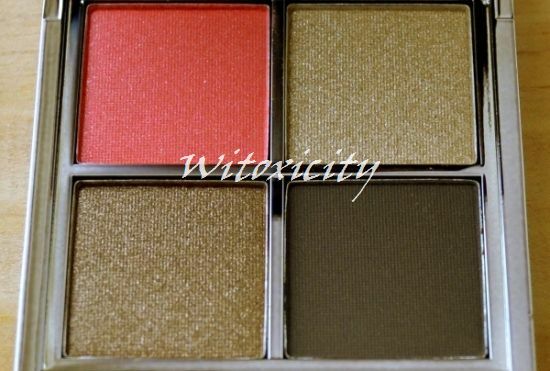 The coral pink looks innocent enough in the palette but in a heavy swatch, it looks coral red. The shade pretty much reflects the bright coral pink of the Revoltaire Velvet Matt Lip Colour called Colour Bomb. 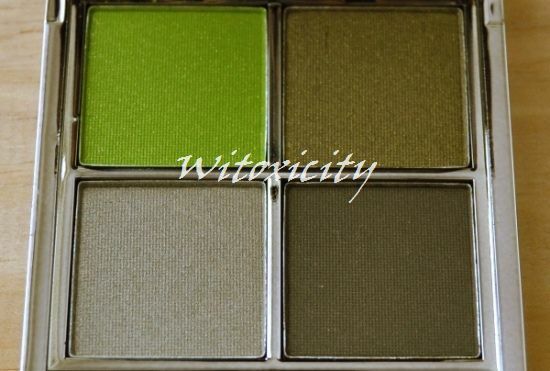 The supporting eyeshadows are a beige and a medium brown. The cake eyeliner is a dark-enough dark brown. 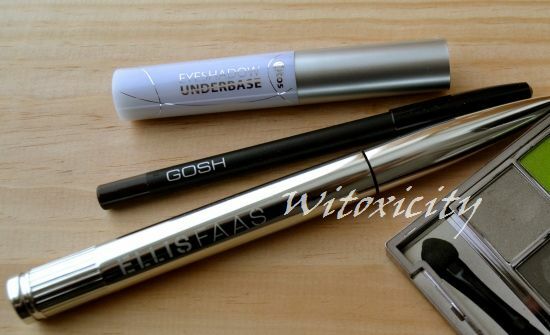 For this eye look, the eyelining was done with the GOSH eyeliner pencil. To get that hard edge on the outer corner, you could use the usual method of sticking a piece of tape to block off the area. I prefer to just apply the eyeshadows and then wipe off the excess with a cotton bud and eye makeup remover. Wow the green eye shadow is so nice. You applied it so well! I love those colors but bright green and pink turned me off because I'm still a bit shy with colors. Wat aardig van je, Nikki! Ik ben heel blij, dat je deze look leuk vindt. Bedankt! Nou, ik moet eerlijk zeggen, dat de oog/lipproducten van hun Limited Editions van de afgelopen tijd mij meer aantrokken, dan de lakken. Na een tijdje vind ik dat de lakken van de speciale collecties heel erg lijken op de kleuren in de vaste collectie. Toch heb ik dit keer één van de Revoltaire lakken gekocht - die roze. :D Groetjes!